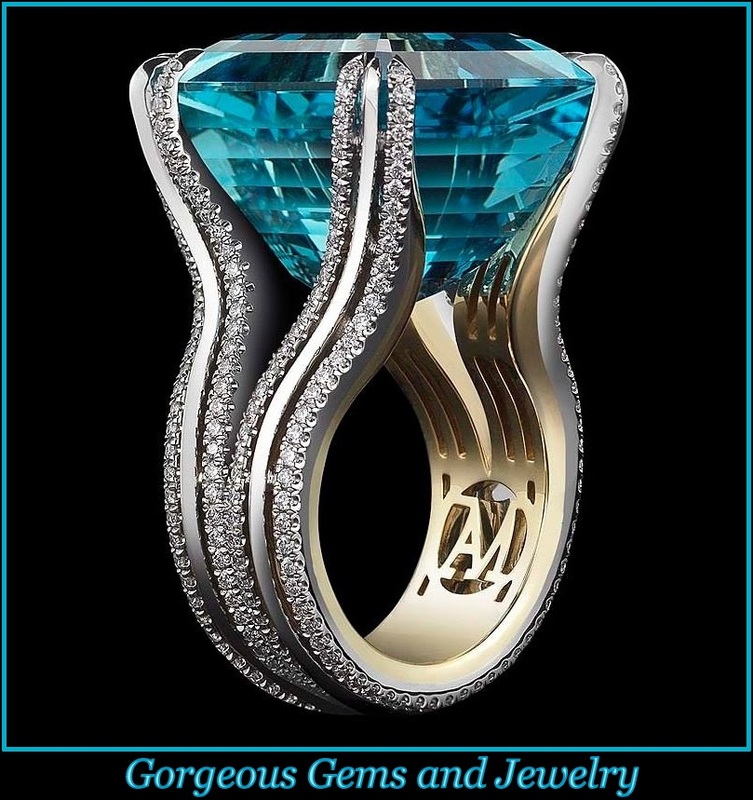 The 13.58 carat octagonal step cut aqua is certified authentic by GIA and the original certificate is included with the purchase. It sits high above the 14kt white gold polished mounting in a 4-prong setting accented by 8 round brilliant diamonds in a waterfall style setting flanking each side of it. 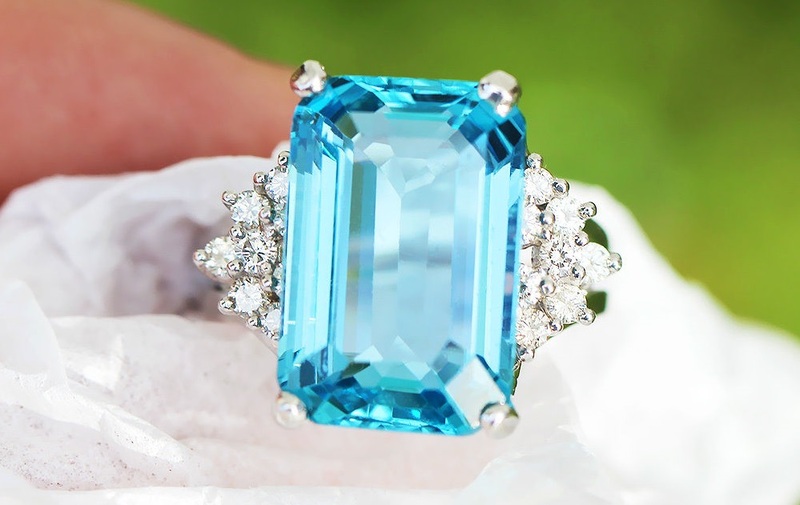 The ring weighs 12.1 grams and is currently a size 8.75 and can be resized. It rises 11mm above your finger and its ring face measures 18.85mm North to South and 22.25mm East to West. It’s in pristine condition.